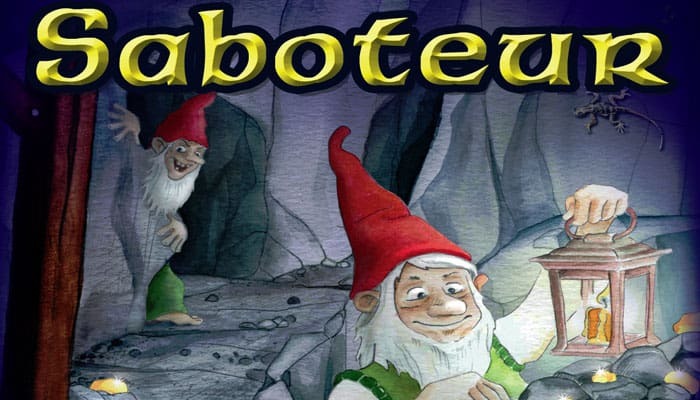 Saboteur is a hand management card game where players take on the secret role of a gold-digging dwarf or a saboteur who wants to hinder exploration. 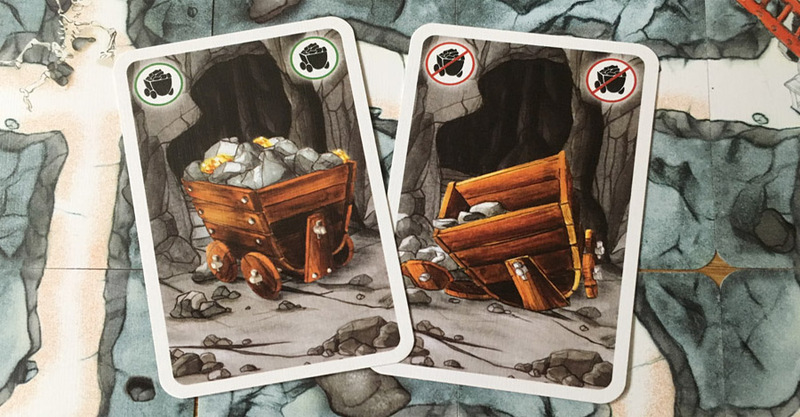 The miners must try get as many gold nuggets as possible during the three rounds of the game. 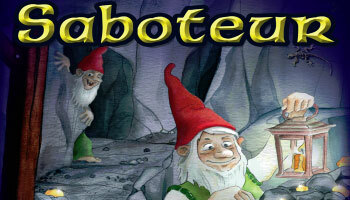 But when you are a saboteur, you must try to prevent the miners to get the treasure. On your turn, you must use on a card from your hand and place a path card or play an action card (sabotage, repair, map, rock fall) or pass. The path cards must be placed to build an uninterrupted path from the start card to a goal card. The player with the most gold nuggets after round three wins. In this expansion, there are new roles for the dwarves to take as well as new action and path cards that await the players. There are the usual gold-digging dwarves, but now they are split in two teams: the Green Team and the Blue Team. As before, the gold diggers want to drive a mine towards the treasure. But this time, they're not on their own, but have to co-operate with their team mates in order to succeed. Try to be helpfull in the beginning to avoid being a suspect. When you have a helpfull path card, try to discard it, but don't do this too much. Else you will look like a suspect. Try to create some chaos while not revealing yourself. 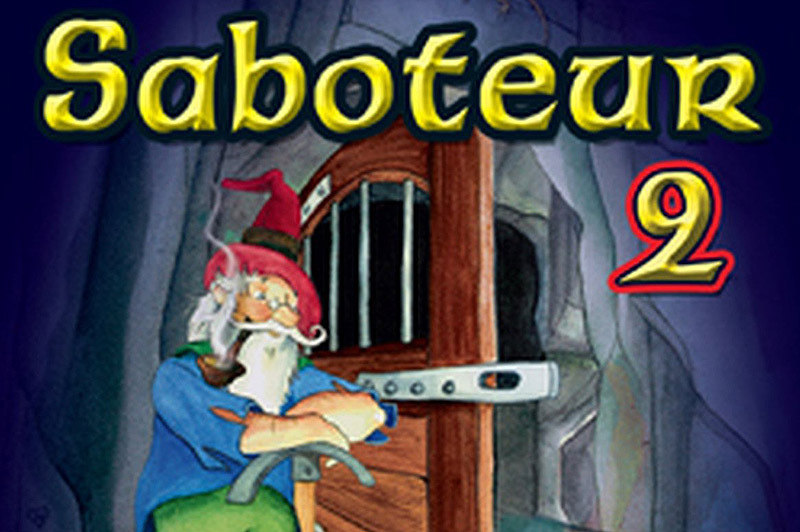 Lie about your goal card if you get caught by another player and accuse this player for being a saboteur. Now block him or her. If good dwarves reach the treasure, only those dwarves who have unbroken equipment can share in the treasure cards. We ALWAYS use this variant to spice things up. In this way, there is also a competition among the gold diggers.